With a bow tie your best friend will always be dressed to impress and at the same time looking quite cute. 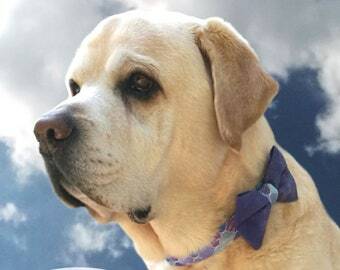 The bow attaches to dog collars (not included!) by slipping the collar through two straps at the back. This way it will always sit straight. the bow meassures app. 4 1/8" x 3 "
This Lilly and Bear bow is made of cotton fabric that is reinforced with an extra layer so the bow tie will keep the shape nicely. 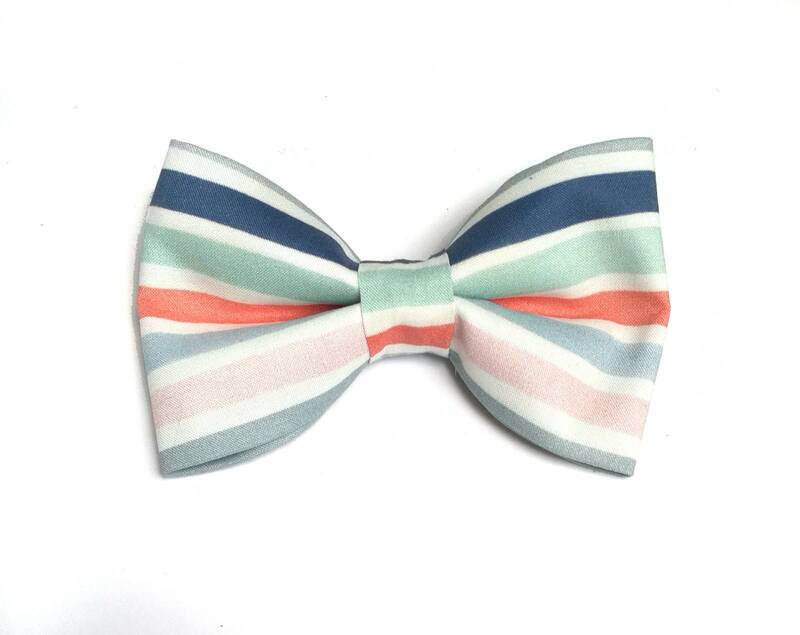 Bowties are not machine washable, but can be removed from collar and rinsed with water and mild soap. Need a collar to match?